Leadership. We can point to any of the greatest civilizations of the world and find that the great achievements therein were ultimately defined by the leaders of the time. Sometimes history proves to be accurate, but truthfully, sometimes credit isn’t always given where credit is due. And so, at times, though the end product of said great achievement or advancement tends to be where our ultimate adoration lies, oft times the leader is but a face, a sum of it’s parts… the true power lies in the numbers, those whose names, faces and identities that tend to be lost in the annals of history. 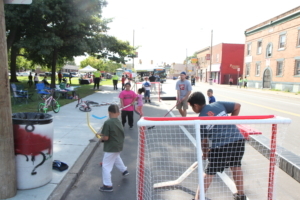 Children playing street hockey at Detroit Open Streets in Southwest Detroit. To relate this premise to the challenges that face Detroit, herein lies, what I feel is the ultimate solution to what, for generations, may have been a leadership gap within our great city; leadership that is willing to be nameless, faceless, completely emerged in the work of serving the people. Some academics call this ‘servant leadership’, and it is a particular leadership style that I try to adhere to. It is a style of leadership which seeks to exert influence and action through empowerment and less dictatorial panache. It is a brand of leadership that is humble, yet effective. It’s strongest tenants to be adorned come from it’s true power, which is in the numbers of people, role players, and subservients to the call of action. For those who hear the call, answer when asked to take action. And even if the so-called leader is ultimately replaced or for whatever reason must resign his post, this brand of ‘servant leadership’ ultimately lives on… through the generations, because it is ultimately rooted in extending ones self outward into the world, with intention bent toward the progress of the whole, rather than the accolade for self. 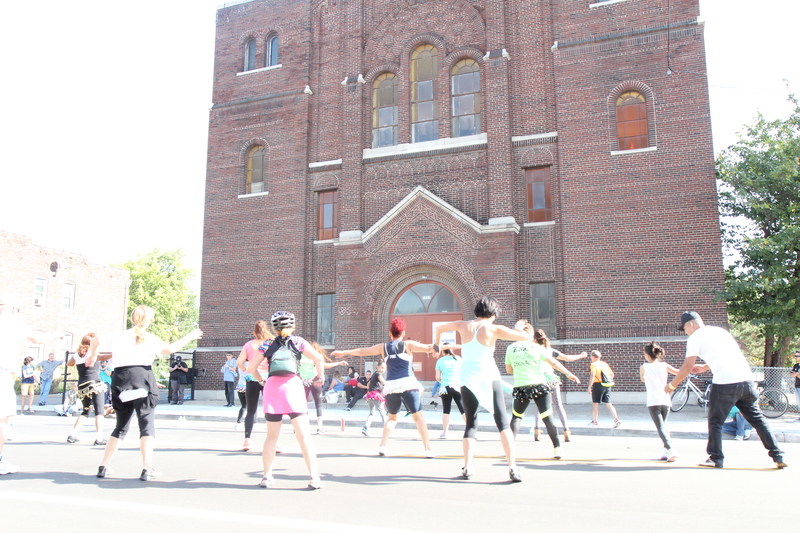 One of the things I love most about Challenge Detroit so far, is its focus on leadership development. Now, two months into this fellowship and I have already got to bear witness to some of these musings in regards to ‘power in numbers’… from our efforts in the first ever Detroit Open Streets, to our very first challenge with MACC Development, the greatest impact that I have observed thus far has been in regards to the sheer number of creative minds, collective energy and overall will to get things done. That’s what has impressed me most. The will to serve the greater good, and at least temporarily, set the ego aside. It is my hope that I can home these skills throughout the coming year while helping to influence and expand other minds to their leadership potential along the way. Perhaps, I can learn how to not only become an effective leader, but affective in thought, attitude and assessment as well, to the point that getting results is a lifestyle and a mindset of serving others finds us at our greatest human potential- and myself, a better man from whence I began this amazing year of fellowship and leadership in the city that raised me. 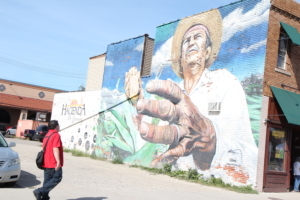 Man views a mural on the side of a business in Southwest Detroit during the first ever Detroit Open Streets event.